Feiwel & Friends, 9780312382575, 290pp. Best friends Lee Jones and Joan Lee have a lot more in common besides their names. On the eve of their class trip, they each learn their parents are getting divorced. Ugh. The class trip is a dud, so Lee and Joan steal away to talk. What follows is an afternoon nap in a lighthouse, walking up to find the Golden Gate Bridge gone--"gone "--and meeting a young man named Sam Clemens, who is on the run from a mysterious stranger. Lee and Joan wonder: Where are they? What year is it? Why don't their cell phones work? How will they get back? Do they even want to? Will life "ever" be the same? 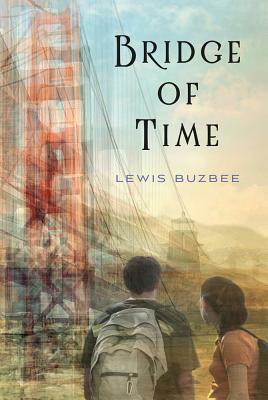 Lewis Buzbee is the acclaimed author of "Steinbeck's Ghost" and "The Haunting of Charles Dickens. "He also wrote the acclaimed adult memoir "The Yellow-Lighted Bookshop." A former bookseller and sales rep, he lives in San Francisco with his wife and daughter.